A tribe is any group of people who are connected to one another, a leader, and an idea. For millions of years, humans have joined tribes, be they religious, ethnic, political or otherwise. Now that the Internet has eliminated the barriers of geography, cost and time, who is going to lead all the new tribes emerging through blogs, social networking sites and the like? 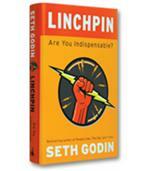 Learn how to become an effective tribal leader in 2009 in Seth Godin’s latest work. If you sew, fish, scuba dive, are addicted to Bruce Lee flicks, crave truffles, or are a compulsive cruise-goer, it’s safe to say that you are hardly alone. There are plenty more folks who share your passions on this planet. And more than likely these similarly minded folks are simply a few keystrokes away from you on the Net. Had you met in earlier times, you and your like-minded cohorts might be called a group, club, association, maybe even a cult. But the tenor of the times influences language. And the going currency refers to groups as “tribes.” If the tribe designation evokes images of foreign climates, long robes and trade beads, you may need to stop and smell the coffee. Because this roast is really no different from the following concept: A tribe is a group of people connected to an idea, a leader and one another. It’s that simple. 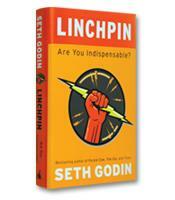 So says Seth Godin, author of Tribes: We Need You to Lead Us. With the emergence and ubiquitous adoption of the always-on Net, finding sympathetic tribe members has never been easier. A growing suite of collaborative applications makes staying in touch effortless, too. But there’s no guarantee that spending time and energy in your chosen social networks will reap the satisfaction you seek. Godin says not all tribes are created equal, especially when leadership is compared. Leaders are in short supply, and the times are hungry for them to emerge. Without great leadership, he stresses, tribes often dissolve into aimless crowds. In the legacy corporations of the past, conformity trumped innovation (and employees were rewarded for upholding the company line). This environment was hardly the breeding ground for great leaders. The good news, says Godin, is that emerging workplace structures value change — sometimes, just for its own sake. Most important, he adds, this new work paradigm rewards leaders who can produce remarkable products and services. And, Godin notes, who wouldn’t treasure a great leader? 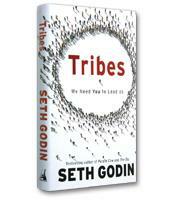 Tribes exist within workplaces as well as the marketplaces they serve. An effective leader inspires tribes in both places, transforming shared interests into passionate goals. She also understands the power of tools to facilitate communication and help increase tribal membership. But if it were comfortably easy to become a leader, we wouldn’t be having this conversation, Godin says. Leaders exist in that space that is neither easy to occupy nor comfortable to stay in. Anticipating that readers of Tribes: We Need You to Lead Us may tend to fast-forward to the back of this tiny book, Godin is at once defiant and unapologetically frank.While he mentions movements that he admires, Godin admits that his book offers no tried-and-true formulas or risk-free roadmaps that potential leaders can use. Instead Godin gives several takeaways that amount to best practices for growing movements: Publish a manifesto; make it easy for your members to connect to you and one another; don’t monetize the goal of your movement; publicly track your movement’s progress. 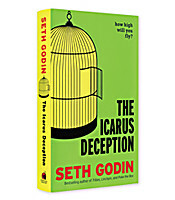 While these practices sound like good advice for noncommercial as well as commercial ventures, his underlying principles are straight from a marketing playbook: Among them –– keep your operations transparent (don’t insult your followers), keep your vision large, grow your audience and keep your focus on the positive (don’t tear down your competitors). It’s the type of advice that is worth remembering, even long after the word “tribe” has been replaced by the next mot du jour.